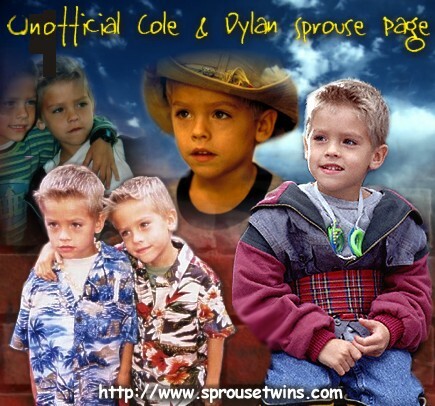 Despite what the collage above states, the actual location of this website is not sprousetwins.com and this is not the official website for the Sprouse Twins. You have just found the newest unofficial fan site created by Antalina especially for you, the Cole and Dylan fans, so hope you enjoy! Also, make sure you've set your screen to 800x600 so it comes up right. And if you would like to contact the webmaster of the page, please send mail to antalina@yahoo.com. Thanks for stopping by.